Our roomy 600 square foot Waterfall Cabin features a large deck that overlooks our seasonal 25 foot waterfall on Anderson Creek. Guests can sleep comfortably in a queen size bed featuring 600 thread count sheets, or in the fold-out sleeper sofa in the living room. If you have the need for more sleeping arrangements, we encourage you to bring your own blow-up mattress or sleeping bags. Waterfall Cabin’s bedroom features a relaxing queen size bed, sure to give you a good nights sleep after spending your days hiking and exploring around Anderson Creek. Waterfall Cabin is our closest cabin to our seasonal 25 ft waterfall. 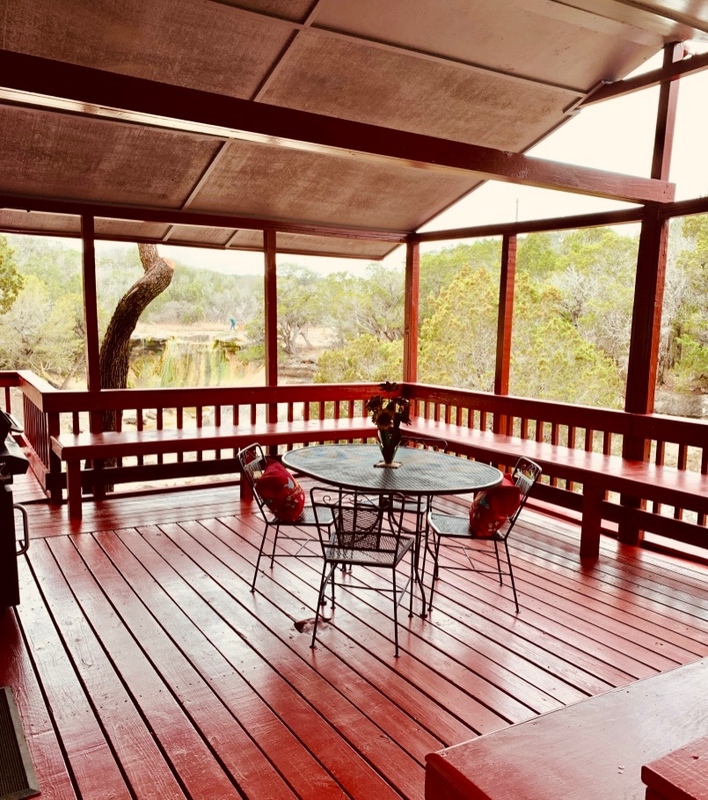 The large patio is great for taking in the beautiful scenery and local wildlife, enjoying your morning coffee, or enjoying a relaxing meal with family or friends.